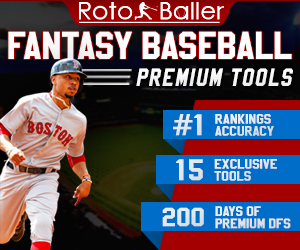 In our NBA Fantasy Basketball Daily Shopper series, RotoBaller Brad Leibfried brings you his expert picks for NBA Daily League contests on DraftStreet. 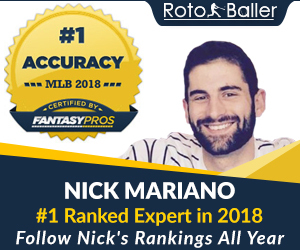 With a full slate of games, we take a look at one great buy per position and two others who should outperform their prices. PG: Jeff Teague ($14,405): When most people think of the top point guards in the league, the name Jeff Teague generally does not come to mind first. However, this year the Hawks point guard has had a career season, posting 18 points, 10 assists and 1.4 steals a contest. His 10 assists are second in the league only to Chris Paul. Teague also has a prime matchup against the worst defensive team in the league in Philadelphia. The Sixers give up 108 points a game and were just victimized by James Anderson and Tony Wroten. Teague is likely to be the top scoring point guard in fantasy tonight. SG: Kevin Martin ($14,265): Kevin Martin has flourished this season in Minnesota, as he’s currently sixth in the NBA in scoring at 24.6 points a game. Martin has done this largely from behind the arc, as he has averaged 3 three-pointers a game and has shot an astounding 56% from deep. Martin has had the best seasons of his career with coach Rick Adelman, and this seems like another great season in the making. The Wolves play a Nuggets team that gives up over 100 points a game and allows opponents to shoot 38% from three point range. It will be important to make sure Martin is active as he missed the team’s last game with the flu, but all signs point to him being good to go for tonight. SF: Markieff Morris ($14,150): After starting the season with a suspension followed by two straight slow games, most people were ready to write off Morris as a bust. Since that time, he’s found his rhythm and has scored over 17 in four of his last five games including three games over 23 points. Morris has also been solid on the glass, posting double-digit rebounds twice this season. Morris has also averaged nearly two steals a contest, which has added to his value. He gets to play against a Brooklyn team that has looked old on defense, as they have given up 101 points a game and are missing stopper Andrei Kirilenko. Morris should be able to put up a solid all-around game tonight in Phoenix. PF: Carlos Boozer ($16,288): With Derrick Rose struggling to shake off his rust, it has been Boozer who has been the heartbeat of the Bulls offense. 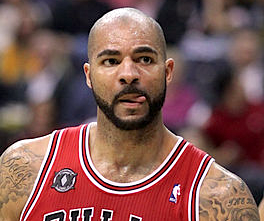 Boozer has started out the year on fire, shooting a scorching 60% from the field and 90% from the free-throw line. He leads the team in scoring at 18 a game and also pulls down 8 rebounds a contest. On first look, the matchup with Toronto doesn’t look great as the Raptors are top five in the league giving up only 94.9 points a game. However, looking at the numbers you see Toronto is actually in the bottom third of the league allowing opponents to shoot 46% from the field. With no other consistent options to go to, the Bulls will again lean on Boozer to lead them in scoring, which should help him to a nice game. C: Brook Lopez ($15,363): The Nets have been incredibly disappointing this year, but Lopez should not be taking much of that responsibility as he has been playing very good basketball. He leads the team with 19.6 points a game and although he has never been a defensive standout, he is averaging 2.7 blocks a game this season. With no other low-post scoring options, coach Jason Kidd has been feeding the ball into Lopez regularly. Brooklyn’s opponent, the Suns, are also criminally bad down low as they have given up huge games to LaMarcus Aldridge (28 points), Enes Kanter (20 points, 12 rebounds) and Derrick Favors (14 points, 17 rebounds) among others. The Nets are desperate for a win and will need Lopez to have a monster game to get that done against a frisky Suns team. U: George Hill ($9,990): Hill has had a bit of a frustrating season for the Pacers as he has missed three games due to injury and also had some sporadic play. In his last game he put up 13 points, and more importantly he looked healthy doing it. Indiana has not played since Monday, so that should allow ample time for Hill to back to full health. Hill should be in for a solid night as he will likely be matched up with rookie Nate Wolters for Milwaukee, who are also missing shot blocking extraordinaire Larry Sanders. Don’t sleep on the Pacers starter tonight, who could provide a nice value pick for your team. U: Robin Lopez ($10,755): No, this is not a repeat, Robin Lopez could complete the Lopez family night by keeping up his recent hot play. With his trade to Portland in the offseason, Lopez now has been given the lion’s share of the minutes at center and shown his upside. He comes into tonight’s game with three consecutive double-doubles. Lopez will not give you a ton outside of rebounding or scoring, but he will also not hurt you with many missed shots or turnovers. He has a great matchup with a Boston front line that has already been destroyed by Al Jefferson, Nikola Vucevic and Derrick Favors, just within the last week. 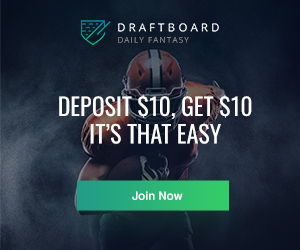 Good luck with your DraftStreet selections for this Friday!